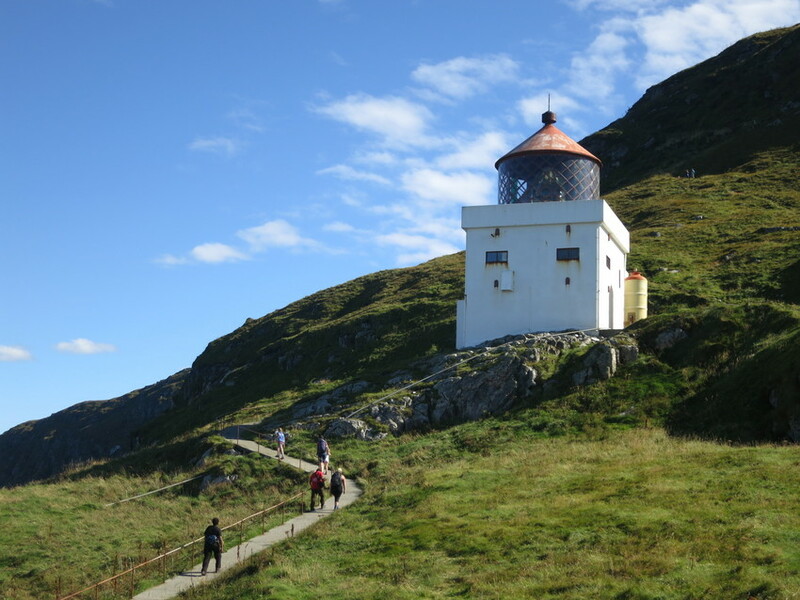 Runde lighthouse. Oc WRG 6s. The coastal lighthouse has a Fresnel lighthouse lens of the 1st order. 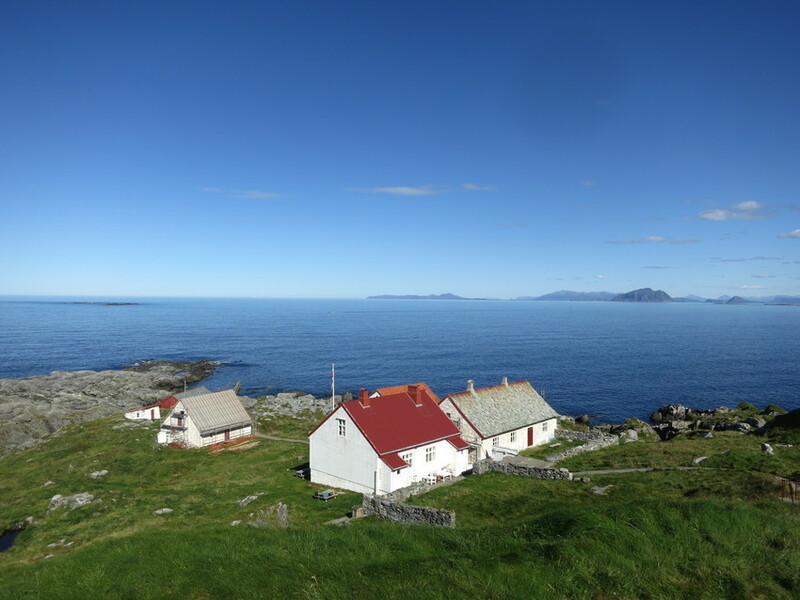 The lighthouse station was commissioned in 1767 by P.F. Koren, the notary public in Kristiansund. 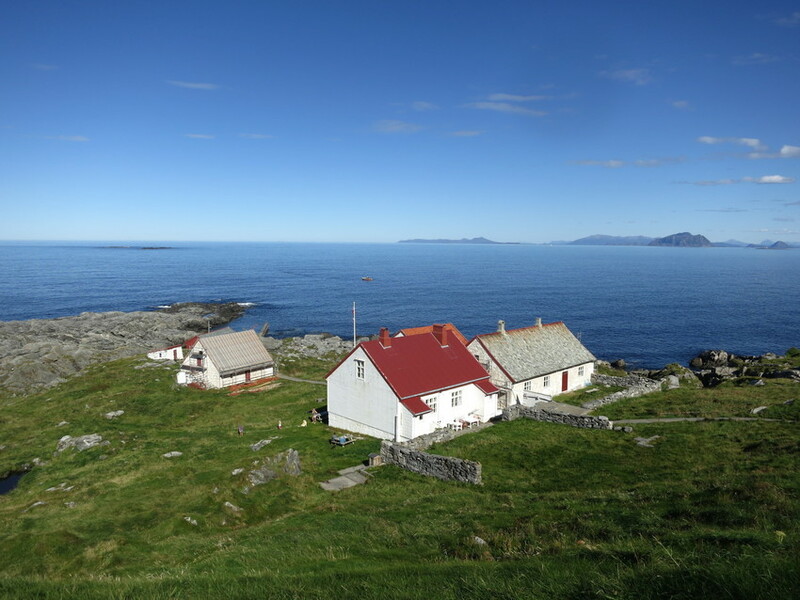 Runde lighthouse is considered to be the fifth oldest lighthouse in the country. It offered little illumination when it was powered by a brazier burning coal and peat. In 1807 the state took over responsibility for the lighthouse station and in 1826 a 7 m tall coal flare major light was erected. 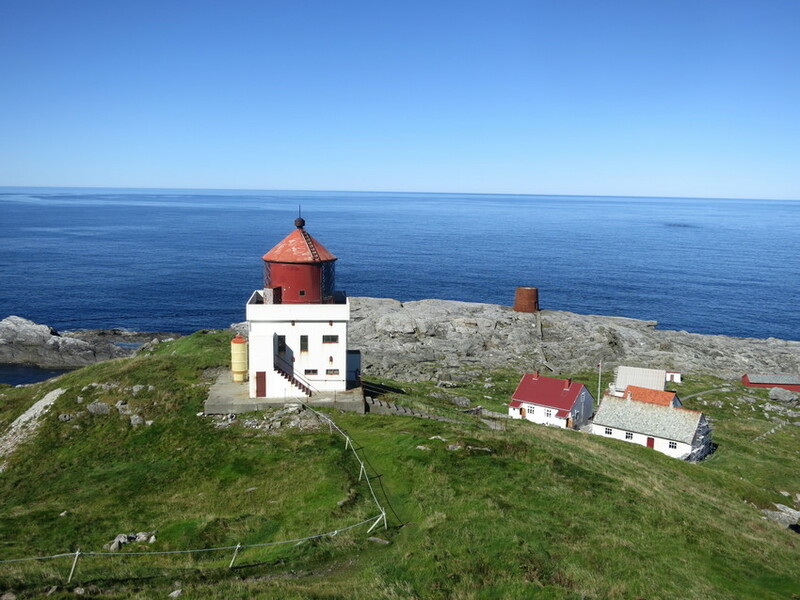 In 1858 a 27 m tall cast iron tower was built on the headland at Kvalen. In 1910 a more powerful lantern was placed on the tower. 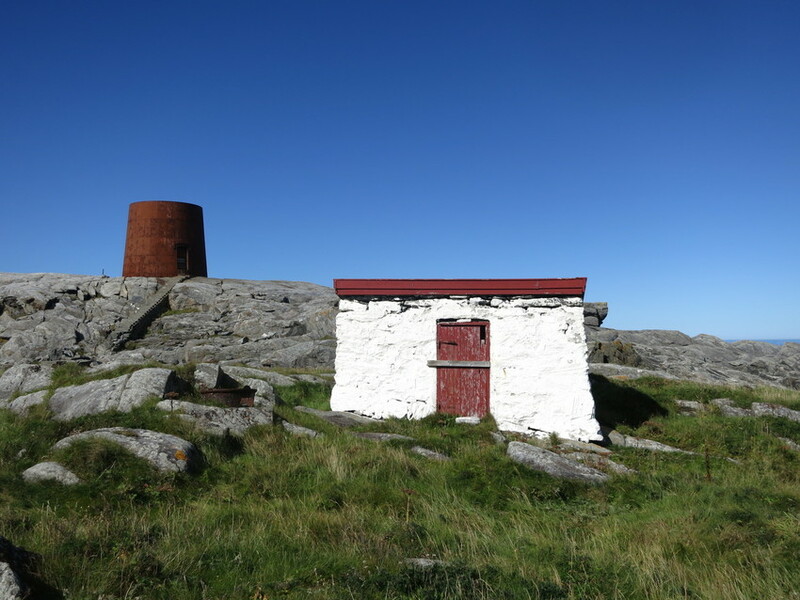 The top part of the tower was transferred to Sklinna lighthouse. In 1935 the old coal flare major light was blown up and replaced by a new concrete lighthouse. The lantern from the cast iron tower was moved over to the concrete tower and the lantern was electrified. The lower part of the cast iron tower has been preserved as a daymark. The concrete lighthouse is painted white with a red lantern. The keepers’ dwellings, cowshed, coal store, smithy and boathouse lie together in a cluster just below the lighthouse. The lighthouse was automated and de-manned in 2002. 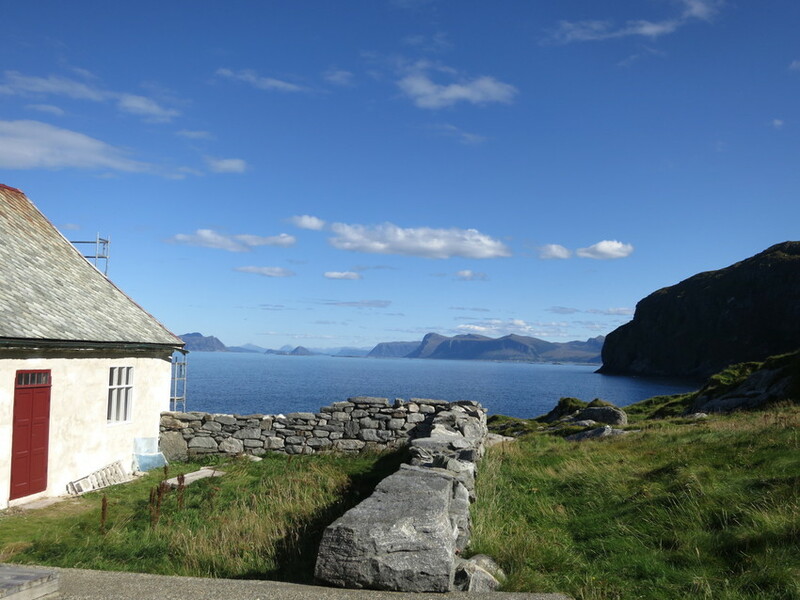 The previous year, the lighthouse station had been made the subject of a protection order by the Directorate for Cultural Heritage. Today it is a very popular tourist destination offering overnight accommodation.